Keep your Voices Ringing against Domestic Violence! Posted byRed Lips High Heels July 17, 2013 Posted inViolence against Women, Women’s Roles and SituationsTags: Domestic Violence, Lebanon, Violence against Women4 Comments on Keep your Voices Ringing against Domestic Violence! Posted byRed Lips High Heels May 31, 2013 Posted inPersonal Stories, Women’s Roles and SituationsTags: Against the current, Canada, Jihad, Lebanon, Peace, War, WomanLeave a comment on "Against the Current" Jihadist! A never ending fight for Peace in the Middle East? Posted byRed Lips High Heels May 26, 2013 Posted inWar and Peace, Women’s Roles and SituationsTags: Islam, Lebanon, Middle East, Peace, WarLeave a comment on A never ending fight for Peace in the Middle East? 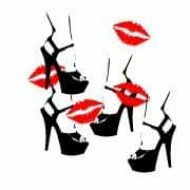 Posted byRed Lips High Heels May 3, 2013 Posted inGender Studies, Laws and Personal Status, Women’s Roles and SituationsTags: Egalité, Femmes, Gender Equality, Lebanon, Liban, Parité, Politics, Politique, Quota, WomenLeave a comment on POURQUOI 'SANS QUOTA'? Women Ordination in Catholic and Orthodox Churches: Lebanese perspectives… Censored! Posted byRed Lips High Heels April 30, 2013 Posted inWomen and Media, Women and Religions, Women’s Roles and SituationsTags: Catholic Church, Lebanon, Middle East, Orthodox Church, Women Ordination13 Comments on Women Ordination in Catholic and Orthodox Churches: Lebanese perspectives… Censored!